You can purchase this novel at good bookstores everywhere. Liz likes bones, too. 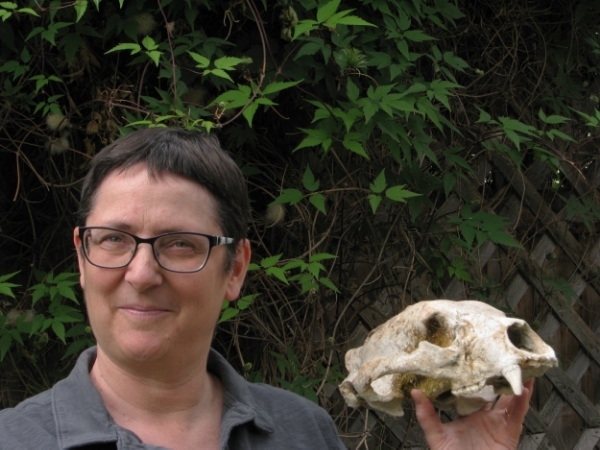 Here she is with a bear skull.